Here you can download the new version of Emulator 3000 [Version 6.1 from 04.03.2004]. 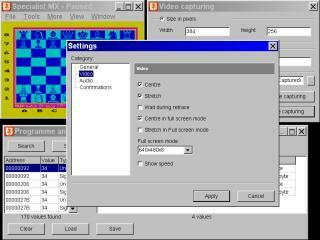 Emulator 3000 (aka E3000) is an emulator of russian and foreign computers like Mikrosha, Vector-06C, Pyldin-601 and others. It is available for Windows 95/98/NT/ME/2000/XP. Processor: Pentium II 233 Mhz and higher. Memory: 32 Mb and more. Hit the download link to download the latest version of Emulator 3000 [Version 6.1 from 04.03.2004] (2.2 Mb). Hit the download link to download the previous version of Emulator 3000 [Version 6.0 from 16.08.2003] (2.2 Mb). computer emulator, computers emulator, home computer, home computers, home computer emulator, home computers emulator.